Iconic fashion designer Diane von Furstenberg most famously known for her wrap dresses and bold prints has taken on a new and “smaller” project.…childrenswear. Von Furstenberg has joined forces with Gap Kids to create a collection for the mini DVF enthusiast. The line, which will range from newborn to size 14 will feature smaller versions of all her classic shapes and patterns (plus an extra baby snap or two). Von Furstenberg is just the latest in a long line of designers to partner with the mega retail chain. Past designers have included Valentino, Alexander Wang and Stella McCartney who collaborated with Gap Kids on two collections before launching her own children’s line in 2010. 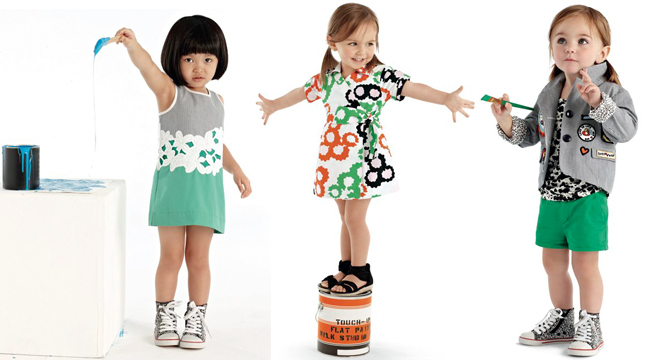 DVF for Gap Kids will hit stores nationwide on March 15th.